Today I want to shatter the stereotype of the bookish homeschool kid. Guess what? Not all homeschooled children like to read. Yes, it’s the truth. And my daughter is one of those. My daughter doesn’t like to read. Making it a big heading like that makes me feel better, like I’m confessing a dark secret that is too shameful to be spoken aloud. The fact that Emma dislikes reading is a huge disappointment of mine and sometimes makes me feel like a failure as a homeschool mom. We assume that surrounding our children with an environment rich in books, magazines, newspapers, and maps will result in a child who loves to read. I read to Emma from her birth, and she had her own bookcase full of board books before she could walk. I honestly did my part. And yet the truth is that she dislikes reading. My daughter has many talents and strengths, and she can read just fine. She is not a struggling reader. But she does not chose to read for recreation. Reading is not her preferred method for learning. As I child, I was a voracious reader, and it’s hard for me to understand how she does not enjoy such a simple pleasure of getting lost in a good story. She loves being read to and listening to audio books, though, so it’s not as if she hates books altogether. I’ve offered all kinds of books through the years thinking that she simply hadn’t found the genre that suited her — fantasy, mystery, adventure, historic fiction. In early years, I even allowed her to even read a some twaddle to encourage that love of reading. But it never clicked. She has never chosen to read of her own accord without my prompting or forcing. Emma is going into high school this fall, and I have finally come to accept that she is simply not a person who loves to read. But let me tell you the revelation I’ve had. I confided to my friend Stacey Lane that Emma doesn’t like reading. She said, “I like Emma!” I was surprised and asked if she meant that she liked her because she didn’t like to read. Stacey said something very profound. Yes, I like her because she is like me. I don’t like to read either. What’s wrong with not liking to read? Everyone doesn’t have to like to read. It was as if she had smacked me with her radical thought. I froze for a minute thinking of what she had said — it’s okay not to like reading. After all, my daughter doesn’t like sports, and I feel no sadness over that. She prefers foreign language, art, and music over history and science. And I’m okay with that. I feel no shame or sense of failure there. So why does it bother me that she dislikes reading? Stacey’s words helped me realize that I harbor a prejudice against non-readers. And it’s silly. I can let her not like reading without interpreting it as a failure on my part or thinking she’s less intelligent. She is unique. She is wonderful. And who she is does not include (right now) reading books for pleasure. Maybe one day she will awaken to a love of reading. She certainly loves literature and books. After all, she spent hours on the road to Cincinnati Great Homeschool Convention listening to the audio version of A Tale of Two Cities. She understood it, enjoyed it. It’s just the task of reading that she dislikes. If you have a child who dislikes reading, do not consider that the scarlet letter of homeschool failure. It is not. Not at all. I still think that “readers are leaders.” And just because Emma doesn’t like reading doesn’t mean that she gets a free pass. She must read. In fact, I am probably more diligent to enforce reading time because she dislikes it. I make her use a reading log to record her time or pages. I still read a good bit of her history and science to her, and we rely on audio resources for teaching (Teaching Texbooks for math, for example). I will not allow her distaste for reading to keep her from learning. There are other ways to absorb content besides reading it. I still take her to the library and buy her magazine subscriptions to encourage leisure reading. I’m not giving up, but I am releasing my prejudice and shame. My daughter has other talents and passions that are equally as important as reading. Instead of harping on her distaste for reading, I need to invest in her love of art, music, and foreign language. (And I do!) I need to build her up as the creative, brilliant young woman that she is instead of worrying about reading as if it is the single factor of academic success. Yes, I realize that children who are strong readers do better in school, but that is because school is set up to be based on reading. Our school looks different. We homeschool precisely for this reason — to make her education work for her strengths not against them. I have explained to Emma that not enjoying reading may make college a huge challenge. She will have to compensate with great note taking skills during class lectures. And I often remind her that God chose the written word to reveal himself to mankind. So we have a duty to read well so that we can enjoy the Bible independently of preachers or teachers. If you have a child who doesn’t like reading, by all means, keep trying! But in the meantime, accept your child for who he or she is. It’s okay not to like to read. I understand, Jimmie. Truly I do. In the 90s, I couldn’t get one of my children to read for anything. My eldest child read voraciously (like her mother). My son enjoyed reading although he felt he wasn’t good at reading (he was, but a series of teachers had convinced him he was stupid). But my third child.. she was another story. She had no interest and couldn’t understand why I couldn’t understand it. We were at a standstill. I read 600+ page books each and every weekend and she read nothing that a teacher didn’t require of her. Yet she’s an incredibly intelligent, self-thinking, strong woman who knows much about many things. It happens. Learning happens. Differences happen. Yes. And I’m so thankful for the differences. God has blessed me immensely with a child who is different from me. She stretches me and makes me a better person. This is such a freeing thought. Thank you!!! My oldest two love to read. Though they both are reading less for pleasure right now due to the heavy load of reading that college brings. My husband and I enjoy reading. My youngest was my earliest reader. He was a strong reader from a very young age, but he’s never enjoyed it. Now, at 15, he reads a little more, but it’s mostly due to me enforcing reading time. He also has never enjoyed listening to audio books or having me read aloud :(. Again, I enforce this, to a degree, regardless. It was a huge portion of my older children’s education. I’ve carried this around for so many years feeling ashamed to admit that my son gets a lot of his education from documentaries. He loves watching a good documentary. He also watches quality, educational YouTube videos and gleans so much from them. He truly is an educated young man. He just did not pull most of his information from books. Again, thank you for writing this!!! Jimmie, what a relief for you to write this and come to the place of full acceptance. That awful word “should” always comes with guilt! I’m sure that children these days have love books just as much as we did ‘back in the day’, but they have so much other visual stimulus that is easier to enjoy. My 18-year-old recently did a reading survey on teens and screens and we were astounded at how much screen time teens use daily and how it must take away from reading time. I think that making time, maybe at bedtime, for reading, will encourage those more reluctant readers to quietly enjoy their books. How brave of you to write this post with such honesty! I can imagine how much the “should” has hurt you over the years. It sounds like you have done a great job of working around her dislike of reading in a way that still fosters her love of learning. Thank you! My 15yo son has reading struggles and so of course he doesn’t like to read. But he also loves audio books and listens to his literature that way. He only reads (and writes) as necessary and sometimes doesn’t want to do that! But we are working on it. It’s a slower process with a learning difference. But reading your post actually relives some pressure! We all feel it. Sad. Angel, I am so glad that my post makes you feel better. We don’t need to feel guilt about how God made our children. I like that not only you discuss the topic of our children not liking to read, but you give us your wisdom of how to handle the student who doesn’t gravitate to reading. As your wisdom always is, it is filled with excellent boundaries. My 10yo DD doesn’t like it either, and I was just thinking, “I’ve done everything right, reading to her since birth, books (and more books) everywhere!” She also likes being read to and is not a struggling reader, but she doesn’t like to read unless I force her. It HAS made me sad, and your post is timely. It eases my self-imposed guilt. No guilt. I am so glad you see it is self-imposed. Yes, get rid of it. You did everything right. And your child is okay the way she is. This sounds just like Emma! 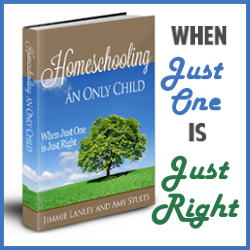 Thanks for sharing this…I have followed your blog for sometime and would never have guessed this…I have 5 homeschooled children. Two in college, actually one graduates this Saturday and he is not a reader but he is a doer and maker! My other college student is a reader and yes, she is doing very well in college and regularly makes the dean’s list. My other 3 are not really readers either…I have an Emma too… that would love to be a reader but has dyslexia and tries so diligently to be a reader but it is a struggle. My other two can read but would rather be doing sports. When I began homeschooling so long ago I dreamed of book-wormish kids that sat around and read and impressed the in laws but I guess that never really happened, but “I like my kids” anyways! And yes, we still go to the bookmobile nearly every week with high hopes and we listen to audio books and dramas daily! Hey, you can bake bread, clean the kitchen and even attempt to do math while listening to a good story! I agree with you on audio books. 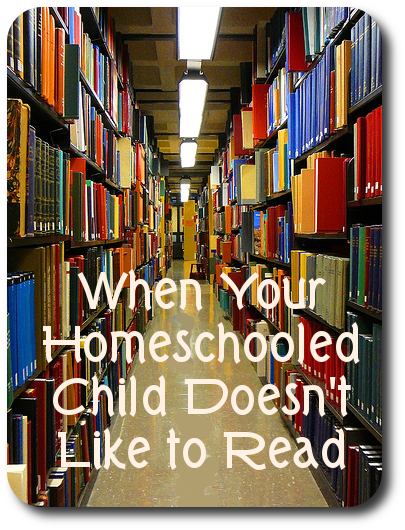 And I laughed at your dream of “book-wormish kids.” Yes, that is such an expectation of homeschool families. It was for me! But I’m learning to reject stereotypes and accept what God has given. I grew up in a home of very few books. My parents didn’t like to read and neither did my older sisters. But me? Well, I LOVE to read. When we would get in the car to go somewhere I would read every sign we passed. When visiting my cousin, that was 10 years younger and had tons of books, I would read every one that I could. When at my grandmother’s home I would look at her encyclopedia’s with awe. My home now is filled with books (and so is my iPad). My four children on the other hand, well, that’s another story. They read occasionally on their own but not as much as I would like. I think my youngest will be the one that enjoys reading the most because she’s always bringing me books to read to her. Only God knows; He created them, after all. Yes, we are all unique. I do think that today’s media driven world makes reading less attractive in general. but there are always those bookish types (me!) who love to read. Confession. I don’t like to read either! It is not my go to in leisure time and never has been. Boy…did my parents get grief over that when I was in school! As an adult, I love to read for information. That’s my thing. Books, blogs, twitter feed. : ) I still don’t enjoy reading contemporary fiction. However, I do enjoy catching up on all the reading I missed out on as a kid. I read aloud to my kids- LOVE that. We do a lot of it. Thanks for the excellent advice! I am surprised, Heather! I would have never guessed! 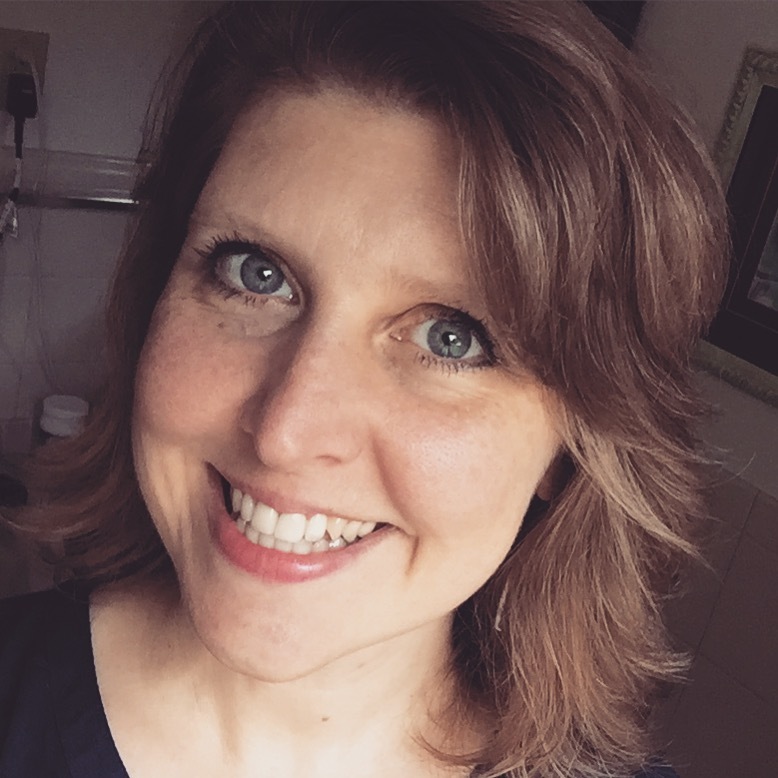 And, see, you are a brilliant writer, blogger, mom, speaker. Wow! Just more evidence that reading is not the magic bullet of success. Must be my practical side. I’m terribly pragmatic. Reading for information makes sense to me. I read for knowledge and to get better at something. To me, it’s a means to an end and I’m super product oriented. I do read a lot- especially as a homeschooler, but when I think of a “reader” I think of people who pick up fiction and curl up with it whenever they have the chance. Maybe we just need to redefine what we mean! Emma loves to create. Does she read directions and search out the best way to her creative end? That’s a reader too! My struggles with my children have been in different areas (how can you NOT love WRITING!!?) because all of them read as much as I do. However, this has been a source of friction between my husband and I. For years, I tried everything I could do to get him to read the books I just KNEW would help him. His excuse was that reading put him to sleep. (Although he does read his Bible every morning and various magazines, news, etc.) Meanwhile, he could not understand my reluctance to listening to the audio sermons and podcasts he suggested. He couldn’t understand why I would rather read the transcript of a program, but I just couldn’t seem to remember what was taught if I couldn’t see it in front of me. (Having 9 kids in the house is a huge distraction and even listening to music during the day can bring the noise level to a point where I feel like I’m about to go crazy.) After years of thinking this must be a guy/girl thing, it finally struck me that this had nothing to do with gender at all. We just have different styles of learning. Now if I want my husband to read a book, I buy the audio version for him. And if I MUST listen to a podcast, I take notes. While the saying that “readers are leaders” might have been strictly true in another time, it really isn’t as important in this digital age. As long as a child has a thirst for knowledge, there are plenty of ways to learn without reading. Yes, it’s a learning style difference. I relate to you. If I click on an interesting title but it’s a video, I almost never stick around to watch it. I always prefer to read text to watching video. I do like audio, though, especially while working, but I do know what you mean about the noise. I won’t say I know what it’s like to have 9 kids (that is unfathomable to me to be honest), but the noise really bothers me. I came back to add that I RARELY read to my kids when they were little. They just never would sit still. My mom read to me all the time. So much that I can remember not wanting to learn to read because I was afraid she would stop if I did. You always hear how important it is to read to your kids, but I haven’t seen that it made a difference one way or another. I so loved reading this Jimmie! I thought all this time I was a failure! I did not like reading growing up and I did not read to my children. My 1o year doesnt like to read either and I thought it was because I did read to him when he was little. Wow what a pressure taken off that God just made him that way and though I am like you he has to read, him not loving to read is just ok! Thanks for the great reminder! Yes, yes! We need to stop the prejudice against people who don’t like to read. It’s okay. We are all different. God is so creative! I deal with one son who hates to read (but LOVES to be read to.) I also have a struggling reader on my hands too that yearns to read on his own! My baby shows great interest in books as well. Keep reading out loud! And invest in audio books. I have one who does not often choose to read for pleasure. He will sometimes have bursts of reading but it is not his go-to recreational activity the same way it was for the other three. I say was because the two oldest, who are both at university, don’t read much recreationally any more. They find they are basically “read out” at the end end of a full day of study. My oldest had a month off before beginning his post-grad studies and he really enjoyed reading for pleasure again, so I’m sure they’ll both get back to it. That makes sense about being “read out.” I know that I go through seasons of reading many books and reading few. Of course I’m always reading online, but reading a book is different. Rita, you are absolutely right! Paul talks about hearing the word through preaching. It is quite interesting that he didn’t say reading it. THANK YOU!!!! 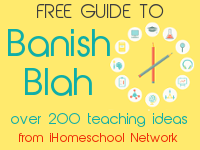 I am a former public school teacher who has chosen to homeschool my children. I have one voracious reader and one that detests reading!!! I’m the same as you and have surrounded her with books and my love of reading her entire life! She even learned how to turn the pages of board books at four months old. My daughter does, however, have a visual processing disability which makes reading a struggle and I tend not to push reading because I don’t want to frustrate her to the point where she doesn’t want to learn at all. We’ve explained to her that God made her different and that is what makes her so special. She excels in the arts and soaks up history. I do appreciate the advice on still emphasizing reading because that will benefit her in college and aid in her reading and understanding of the Bible. I’m going to use your words to help explain this to her. Thanks again for posting this and sharing. Just the fact that I am not alone in this struggle is a blessing for me today. Wow, this could be a post that I wrote. My daughter is the same age and same grade as yours and also does not like to read. It crushes me sometimes because I love to read anything and everything. She never picks up a book to read on her own, but she enjoys being read to. I share our literature choices as read alouds, but she reads her history and science assignments. She also loves art, drama and is growing into a “likeness” with Spanish. I also have been a read for years of your blog and never would have guessed this. Thanks for sharing it and making the rest of us lose the guilt too. Friend, your words blessed me today! Thank you for reminding me that God chose the written word to reveal himself to us. It so encourages me to focus my small amount of reading time on the bible. The flip side, the Lord gave me 3 children who LOVE to read…thankfully my book loving friends help me to encourage them 🙂 It’s okay to be a homeschool momma who doesn’t like to read. I have 4 children, and only one loves to read. I will say that my oldest started to read more when we got her a Kindle. She likes the touch screen, and that it is lit up. My husband doesn’t read. Well, he reads the news. He reads a lot for work BUT he doesn’t like to read for pleasure. He never reads fiction and rarely reads non fiction. I discovered some time ago I could encourage him to ‘read’ by listening to audio books- and I will pick up ones I think are interesting to him 🙂 I get him non-fiction I know will interest him, but tend to not get him much. My son will happily read- if he is forced. For some reason he LIKES to read he just doesn’t?! DD (9) on the other hand, does not like it. For both HER and my husband, it is the same thing. To them, reading is hard work. It takes effort. If they are motivated, they read (although DD is still learning), but they would far rather watch a video. DD absolutely loves audio books though, and I am a HUGE fan of librivox- because I can line up books for her on that and let her listen to her work while DS is doing his, without interfering with his concentration. Oh, how much I needed to hear this. I thank you. I enjoy reading but I have a son that reads when I ask him to but does not read for enjoyment. Thank you for sharing. I, too, needed this specifically for my 9 year old Emmi. She is musically gifted and I have been highlighting the one area she dislikes (reading) rather than building up in her the areas that are the obvious God-given areas of gifting that He could use in her to make a kingdom impact :-)! Thank you for reminding me of truth and allowing me to give myself grace and no longer believe the lie that this is (another) area of parenting where I’ve failed! Jimmie, I am super-proud of you for not only “admitting” this (tee hee!) but also for unpacking your own ideas and realizing your inconsistency about what was important and what was OK not to like! In our house, we have a ton of books, and we read a lot, but Sarah doesn’t enjoy it in the way I do. (Though, to be fair, I am probably an EXTREME bibliophile!) And then there’s math, which I love and Sarah hates. But I’ve slowly made me way into the world of realizing, “Hey, you know, that’s OK!” She loves history, and sports, and I am no more than passable at both, and again, that is just as OK! Thank you so muc for the reminder. You rock. As always. Great article…. 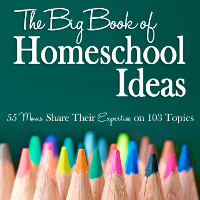 glad I found your blog on a link from ‘The Homeschool Classroom’ on FB. Interstingly today I looked at my daughter cuddled up on a chair reading old-school Nancy Drew, and sighed with content that my (9 y.o. and also-homeschool daughter) FINALLY liked to read. Although she liked reading Nancy Drew, she finally got hooked on reading once she read a kids’ version of Little Women. For anyone else struggling with how to get their children to read, consider viewing http://hub.me/aaUWZ “How to Motivate Students to Read”. by far this is and will always be my all time favorite jimmiescollage article on so many levels!!!! Thank you for sharing your experiences especially on this topic that stumps me on why my son doesn’t like to read…I still haven’t figured it out but your post has provided me with so much motivation! I agree Jimmie. My son loves reading but our challenge was in writing, I’m a writer so him not loving to write was very foreign to me but with help I learned that we can do other things. Instead of writing a report I have him give oral reports of what he learns. He loves to talk and learn new ideas just wants to spend as little time writing as possible. He can give a one word answer for a question but if you ask him to explain the same thing you get volumes of words from him. Every child does learn differently and thankfully home schooling lets us craft the learning to each child. Jimmie, I so appreciate your transparency and honesty as you write about Emma and the way God has created her. How refreshing! 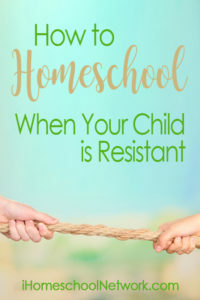 Having seen how you started homeschooling, and reading your blog for years, it’s so interesting to see how you demonstrate that we can expose our kids to so many things, and give them what we think is best, but there’s a limit to our influence on our kids. God has created them in a special way, and part of the joy of parenting is discovering the uniqueness of each child! My son is a lot like me, and pretty easy to teach. My daughter…not so much, but she sure has caused me to grow in so many ways because of her uniqueness! What a wonderful thing when we Mamas can let go of any kind of guilt! And you’ve come up with so many great ways to instill a love of good literature and learning in Emma.